The who’s who of professional road cycling in the United States will descend upon Knoxville and Oak Ridge, Tenn. June 21-24 for the prestigious USA Cycling Pro Road, Individual Time Trial and Criterium National Championships. Competitors vying for Stars-and-Stripes jerseys include Olympians, defending national champions and members of the new USA Cycling National Team. Racing begins on Thursday, June 21 with the U.S. Pro Individual Time Trial Championship, referred to as the “race of truth.” This is a new 7-mile course in Oak Ridge, Tenn., along the banks of Melton Lake and the internationally-acclaimed Oak Ridge rowing venue. Races begin at 9:15 a.m. ET. The U.S. Pro Criterium Championship will take place Friday, June 22 under the lights in downtown Knoxville, with the women’s contest beginning at 6:15 p.m. and the men starting at 7:45 p.m. The 1.1-mile closed-loop circuit will roll along S. Gay Street and feature six turns, with one steep climb on Clinch Avenue. In addition to the start/finish line on S. Gay Street, this popular corridor will offer expo activities, a beer garden, live announcers to call the action and post-race award ceremonies. Sunday, June 24, brings the signature event of the championships to S. Gay Street. The U.S. Pro Road Race Championship has a similar course from 2017, now using the start/finish on S. Gay Street. 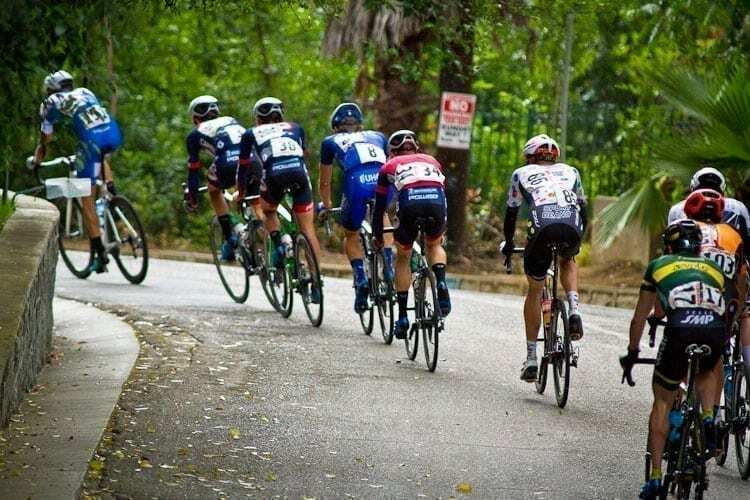 Pro cyclists will ascend Sherrod Road on each lap, nine times for the women and 15 times for the men, and will face the new punchy Clinch Street climb at the end of each lap. The women take the course at 9 a.m. and the men race at 1:15 p.m.
Start-to-finish webcasts will be available for both races on Sunday, available on USA Cycling’s YouTube and Facebook channels. Regional broadcast coverage will be provided by WATE-TV, the ABC-affiliate station based in Knoxville. WATE Six On Your Side will broadcast the men’s road race live on Sunday afternoon, and provide highlights and interviews from all other competitions. Professional bicycle racing remains one of the most unique sporting events for spectators, as admission is free to the course and many activities. Sports fans of all ages are encouraged to come out and cheer. Listed below are some tips for who to watch in the peloton and where to watch the races. Amber Neben, 43 (Lake Forest, Calif./PX4 Sports) – winner 2018 U.S. Pro Women’s ITT and Road Race national championships; gold medal at 2018 Pan American ITT championships; member of USA Cycling National Team. Megan Guarnier, 33 (San Mateo, Calif./Boels-Dolmans Cycling Team) – Three-time (2012, ’15, ’16) U.S. Pro Women’s Road Race national champion; 7th at 2017 U.S. Pro Road Race; winner 2018 Tour de Yorkshire; member of USA Cycling National Team. Coryn Rivera, 26 (Tustin, Calif./Team Sunweb) – Three-time silver medalist at U.S. Pro Women’s Road Race championship (2015, ’16, ’17); points classification winner Internationale Lotto Thüringen Ladies Tour; stage winner 2018 OVO Energy Women’s Tour; member of USA Cycling National Team. Emma White, 20 (Delanson, N.Y./Rally Cycling) – top U23 finisher and 5th overall at 2017 U.S. Pro Women’s Road Race championship; 6th at 2017 Women’s Pro Crit championship; member USA Cycling National Team. Skylar Schneider, 20 (West Allis, Wisc./Boels-Dolmans Cycling Team) – 4th at 2017 U.S. Pro Women’s Crit championship; winner 2016 U.S. Junior (17-18) Women’s Crit and Road Race championships; winner 2018 Glencoe Grand Prix; member USA Cycling National Team. Larry Warbasse, 28 (Traverse City, Mich./Aqua Blue Sport) – winner 2017 U.S. Pro Men’s Road Race national championship; named Most Aggressive on Stage 4 2018 Tour de Suisse; member USA Cycling National Team. Travis McCabe, 29 (Denver, Colo./UnitedHealthcare Pro Cycling) – winner 2017 U.S. Pro Men’s Criterium national championship; 3rd at 2016 U.S. Pro Men’s Road Race championship; points classification winner 2017 Colorado Classic and 2017 Larry H. Miller Tour of Utah. Joey Rosskopf, 29 (Decatur, Ga./BMC Racing Team) – winner 2017 U.S. Pro Men’s ITT national championship; 11th at 2017 OVO Energy Tour of Britain; member USA Cycling National Team. Neilson Powless, 22 (Roseville, Calif./Hagens Berman Axeon) – winner 2017 U.S. Men’s U23 Road Race national championship; 2nd at 2017 U.S. Pro Men’s Road Race championship; 3rd at 2017 U.S. Pro Men’s ITT championship; member USA Cycling National Team. Brandon McNulty, 20 (Phoenix, Ariz./Rally Cycling) – winner 2017 U.S. Men’s U23 ITT national championship; member USA Cycling National Team. The men’s road race on Sunday afternoon will be broadcast live by WATE-TV in Knoxville, WATN-TV in Memphis, and by WKRN-TV in Nashville. Highlights and interviews from the women’s race will be included in this programming.